The Alto Live 1604 is designed and built for the most demanding live sound applications, perfectly suited for permanent installation or live.. The Alto Live 1604 is designed and built for the most demanding live sound applications, perfectly suited for permanent installation or live venue use. The Alto Live Series 1604 puts a versatile EQ section, easy layout and a range of built in features allow you to get a handle on your mix without racks of outboard. Great sounding preamps and flexible routing complete the package, an ideal portable PA solution. 10 XLR inputs alongside a range of Insert and Line level inputs are enough to accomodate an entire band setup or recording demands, whilst the 4 auxillary buses make mixing and audio routing a breeze. Mono channels feature an XLR input, balanced 1/4" line input, and a TRS insert jack. Each mono channel offers a low-cut filter, gain control, a three-band EQ, a pan knob, mute switch, and a 60mm smooth-travelling fader. Stereo channels trade the insert jack for a second balanced 1/4" input. 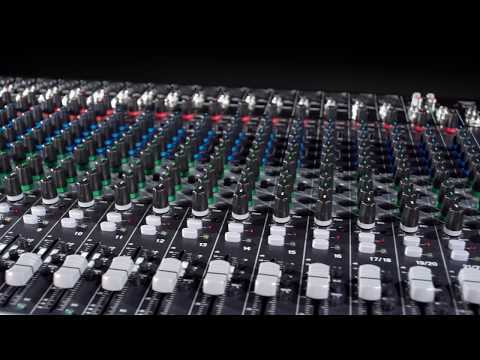 In addition to having two more send knobs, 4-bus models include a pre/post fader switch for the first two sends. Other Live-friendly features include a USB Output with routeable recording switch options, Phantom Power for condenser microphone connection and 256 Alesis-powered DSP effects for dynamic sound processing on stage or in a studio environment.